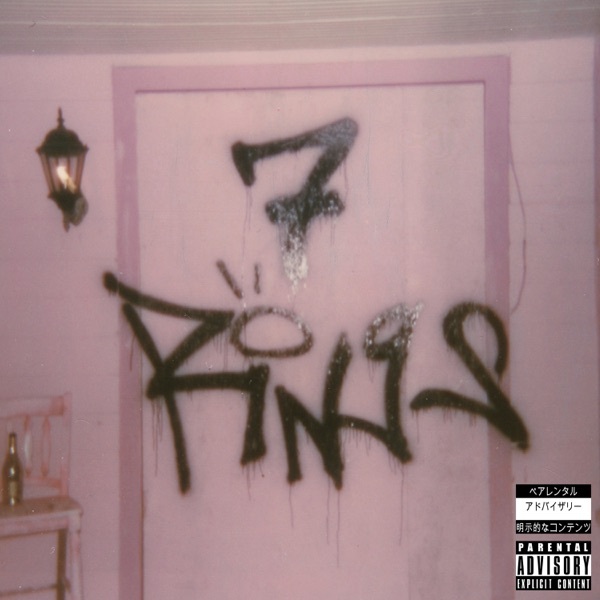 7 rings by Ariana Grande - Musicazon! “7 rings,” which features Ariana boasting about money and many other luxuries, including diamonds and houses, is the second official single from Ariana Grande’s fifth studio album, thank u, next after Ariana announced that “imagine” will act as a promotional single for the album. The title is in reference to a collection of matching friendship rings Ariana and 6 of her friends bought in New York. On December 1st, Ariana revealed the owners of the rings: herself, Victoria Monét, Courtney Chipolone, Alexa Luria, Tayla Parx, Njomza and Kaydence Krysiuk, all of whom have a writing credit on the song except Courtney and Alexa. In December 2018, Ariana confirmed via Twitter that the “thank u, next” video featured a “7 rings” snippet. On January 12th, 2019, Ariana tweeted a very small snippet of the song, and then on January 14th, she posted a sneak peek for the music video on her Instagram. Two days later, Ariana uploaded a video of her dancing to the track in the car from 22 December 2018, with a timer counting down to the song’s release. This was also the first time any lyrics were heard. 7 rings song reviews are being updated..